One of the longest running MMORPGs that still receives an incredible amount of love from the game’s developers. With the original game releasing back in 1999, OSRS is packed with years of content. The game is an incredibly unique gameplay experience built around grinding, but delivered in a way that has never been replicated by any other game of recent time. Many gamers from around the world hold this game near and dear to their hearts. Lots of us have grown up with the community, and have plenty of fond memories of our journey throughout Gielinor. That’s not to say that new players can’t enjoy their experience, as Oldschool Runescape is a very easy game to start up! There is enough content to keep any MMO fan busy for years. Rest assured Oldschool Runescape is here to stay and bring many more updates packed with great content for its players to enjoy! Due to the massive scale of the game, we will be providing a plethora of different resources to help you along the way. GameDB features a variety of calculators, guides and tools to help you level those stats in the most efficient way possible. Different training methods will net you different advantages, experience rates, and loot. We’re here to explain these methods in-depth, and help you choose the right path for your adventure. Quests play a major role in your adventure. Each quest has a unique storyline and set of rewards. These range from experience, to special items or access to new areas of the game. The in-game journal will point you in the right direction, but some puzzles and boss fights can be tough. Our official guides will keep you on the right track, and help you earn that quest cape with ease! Leveling is likely what you’ll spend a majority of your time doing. There are 23 different skills to train, all of which include their own unique advantages and uses. Train your combat skills to be able to use new weapons and armor, and take on new foes. Farm a variety of herbs to turn into potions and use yourself or sell them to other players for a profit. Become a master pickpocket by increasing your thieving skill. Gain more stamina by running different agility courses throughout the world. Levels can take a long time to achieve – but the sense of accomplishment is so worth it. Once you’ve mastered various areas of your skills and completed enough quests, you’ll be ready to take on end-game challenges. 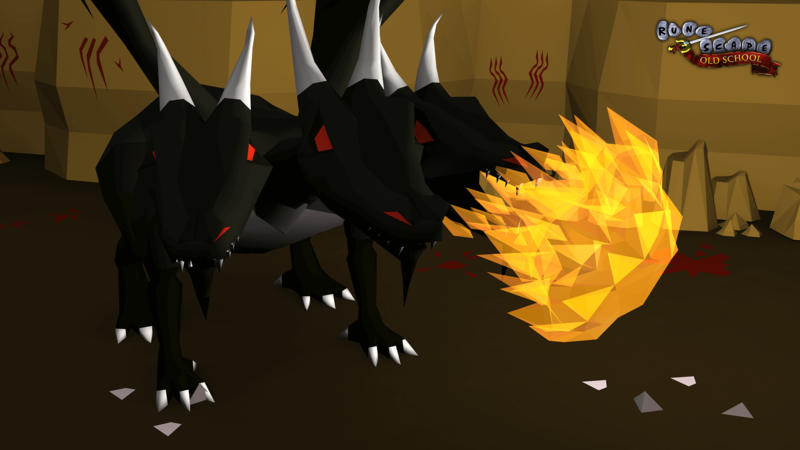 OSRS features a huge assortment of bosses for you to challenge, along with two full-on raids. If you think you can handle it, head into the Inferno and become one of the few players to complete all 69 waves. Most bosses can be fought solo, or with a group of friends. Jump into the game and get lost in the magical world of Gielinor. Oldschool RuneScape is one of the most iconic games of the generation. We cannot recommend it enough.